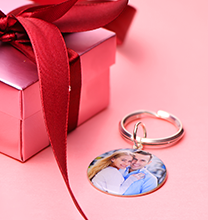 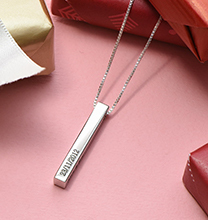 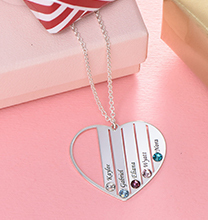 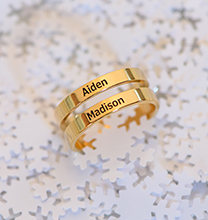 The infinity symbol displays eternal love and trust and now you can special names to show who your forever love is. 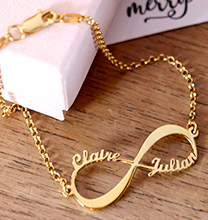 This infinity name bracelet is made of 14ct Gold and hangs on a gold Rolo chain. 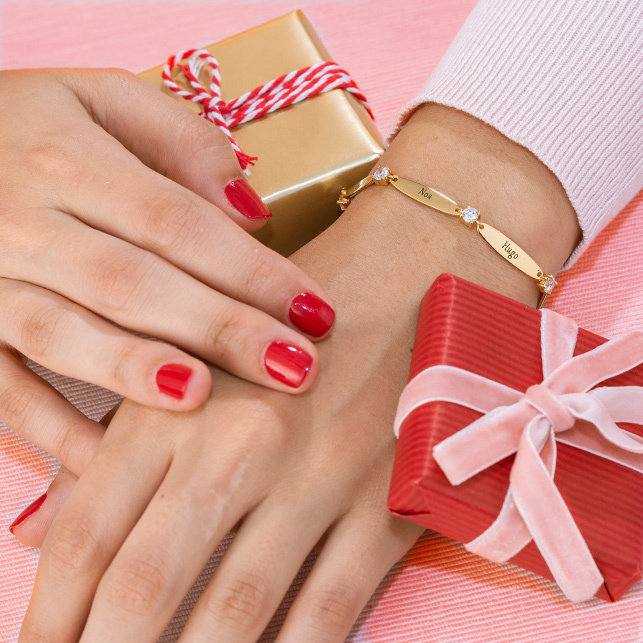 This bracelet also exists in Silver and Rose Gold Plating.